What is the one big advantage that Linux distributions have over Windows? If you ask me, that would be the fact that distributions come as complete bundles containing the kernel (i.e. operating system), the drivers, the desktop environment, and on top of that, a stack of applications that allow users to be productive from the first moment they power on the system. The thing is, in Linux, the software bundles are aligned to desktop environments and NOT to the operating system. For instance, there’s more similarity between Kubuntu, Fedora KDE or openSUSE KDE than there is between Kubuntu and Ubuntu. And that is because the app stack differs so much between the two. 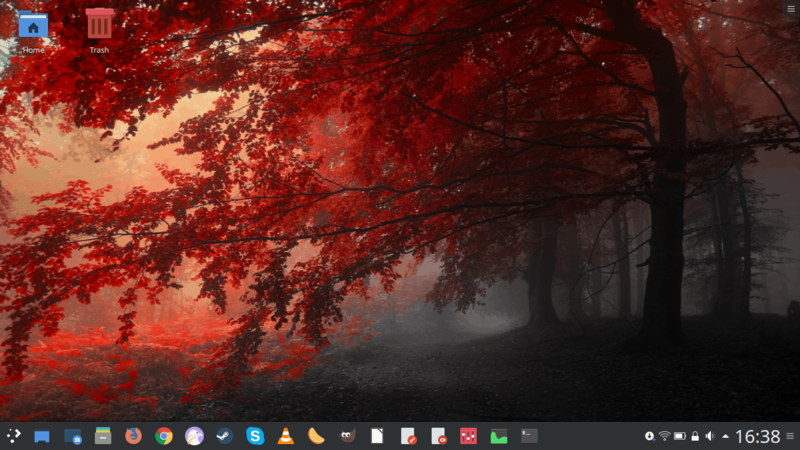 As it happens, I’ve been having a lot of fun with Plasma lately – Slimbook Pro2 and Plasma 5.14 being some of the many examples. But the software I use isn’t necessarily pure KDE. Hence this article. I’d like to take a deeper look at the default and/or official Plasma applications and see how good and useful they are if you were to commit yourself to a 100% Plasma experience. This is the most important application on the desktop. In this modern age, online connectivity is a must, and Web browsers are a portal into this big, chaotic online world. 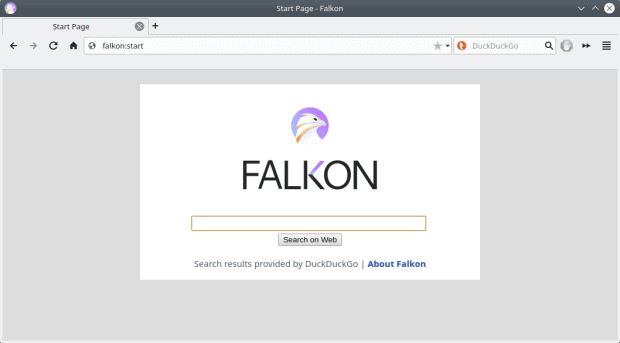 The default KDE browser is, depending on the interpretation, most likely, either Konqueror or Falkon. However you choose, it’s an nth incarnation of an idea that never quite caught on. Konqueror, rekonq, Qupzilla, Falkon, you name it. At some point in time, you must have seen or used some or all of these, alongside other browsers, and it’s quite likely you went with the more mainstream choice. in fact, KDE neon, Kubuntu, openSUSE and several other KDE desktops all ship Firefox as the default browser. Falkon is a reasonable product, but it’s sort of odd. There’s something about it that deters enthusiasm, and of course, it does not have any killer features over Firefox or Chrome. It feels like a mature product from an incomplete idea, or vice versa. It also does not have quite as much versatility as you’d expect from a Plasma product, and it doesn’t integrate as seamlessly into the desktop as either Firefox or Chrome do, both of which are non-native to the environment. Add plugins, extensions, overall speed and performance, plus stability, which was always odd for K browsers, and you get a game of diminishing returns. This is a big one. For most people, desktop usage is synonymous with music and videos. The default offering, Dragon, is a sub-par player in this arena. It does have some neat points, and it integrates reasonably well into the system area. But the shortcomings exceed the goodies by a factor of ten. It’s not pretty or stylish. If you play files from a network location, it will buffer them first – and this could take seconds or minutes. It does not show any nice art when you’re playing music. In fact, it’s completely unsuitable as a music player, but here, there’s a big gap in the Plasma stack. Music wise, you can choose Amarok, which is a neglected offspring of this big family, or you can go with Clementine, a far more capable alternative, forked off the original 1.X branch of Amarok. Clementine has what it needs to be a superb jukebox, but it does not integrate well into Plasma when it comes to looks, because it’s based on a product that was alive in the KDE 3.5 era. Cross-device and cross-service support also needs improvement, Dragon, Amarok and Clementine alike. If you want to integrate your streaming services (say Spotify or iTunes or Prime Music or whatever), there’s no foolproof way. Each program comes with its own set of available options, some outdated, some useless, some both. Smartphones present another challenge. You can’t necessarily access, browse or sync your phones through these programs. Worse, you may get errors or unexpected behavior – this extends to the wider support in the desktop, but it will mostly manifest in how users utilize media, and that would be through the media players. All in all, Clementine is quite capable, Dragon is okay, but VLC does the whole package better, mostly because it can do all of the needed functionality, and then some. The problem is, it’s not a default Plasma application, but it’s definitely far more popular, and for anyone migrating to Plasma, it will be an obvious choice. This is a tricky one, but I’m splitting the classic office work from the enhanced standard that is used today, which normally refers to the usual office programs plus an email client. We’ll discuss the later in a few moments. 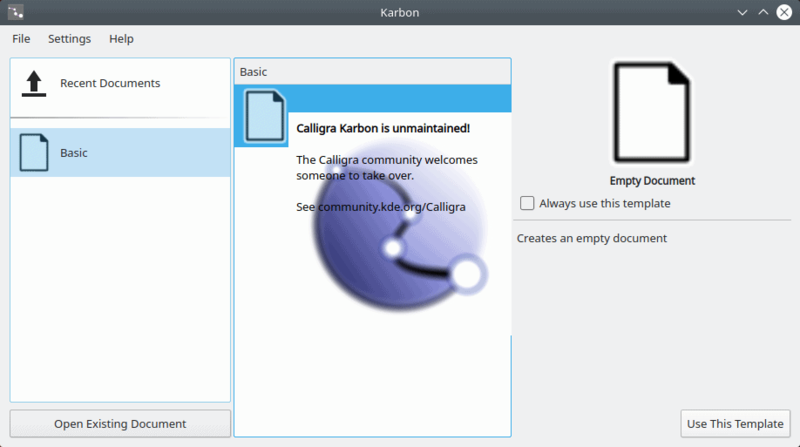 Anyway, the KDE office suite is called Calligra (formerly KOffice). The suite comes with a lot of components, including Words (word processor), Sheets (spreadsheets), Stage (presentations), Kexi (database program), Plan (project management tool), Braindump (notes), Flow (flowchart and diagram software), Karbon (vector graphics editor), Krita (raster graphics editor), and Author (e-book editing). Sounds majestic, but the reality is grimmer than the expectations. I tried this program last year and found it inadequate on many levels. It feels under-developed, maybe even abandoned. The common trio that everyone expect to have feels … weird. The workflow is just wrong. In Words, you get a giant and busy side panel where you get tons of contextual options for managing your files, styles and other decorations. While the actual positioning can be argued against the classic horizontal toolbar layout, the abundance of options and functions is distracting. The performance is also bad, with the program lagging behind, and taking a lot of CPU cycles. Even adding images was quite difficult. 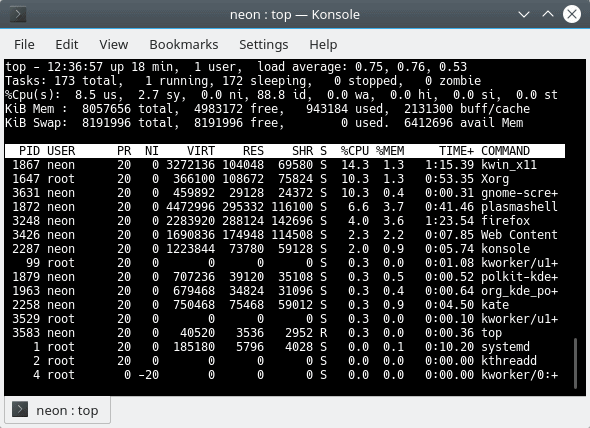 I tested this again in the latest KDE neon. Some programs are actively maintained – Krita for instance, which we will examine a bit later in the article. On the other, Karbon opens with a message that says the project is not actually maintained. That inspires zero confidence with potential users. Overall, Caligra feels sorely neglected and it requires a massive overhaul, which might not actually be practical, as LibreOffice offers better, more streamlined functionality and far wider adoption. 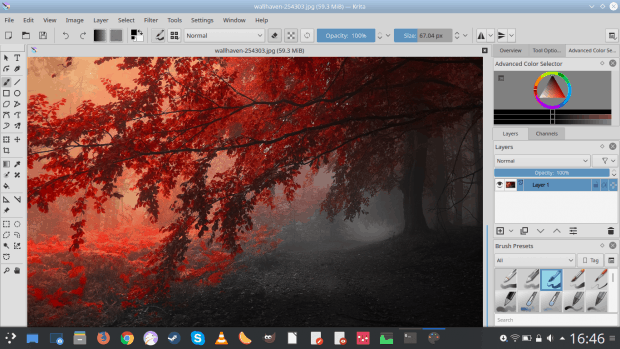 Calligra has never quite found its sweet spot, and today, it does not really have a place on a modern Plasma desktop. 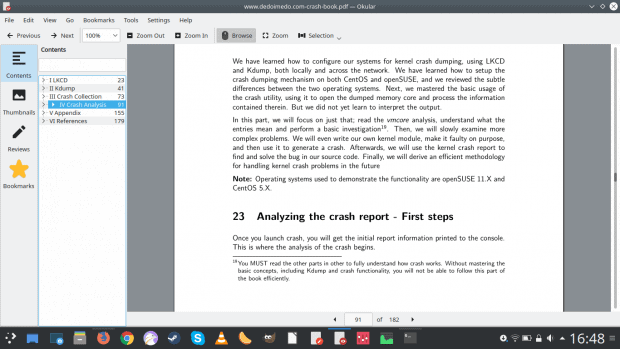 Probably the best evidence for this is that KDE neon, the de-facto Plasma demonstrator, offers LibreOffice and not Calligra in its default set of programs. The second part of the office equation is the PDF software. Okular is a good application, better than the rest of the Linux bunch. Tabs, bookmarks, annotations and then some annoyances here and there that might compel you to think about third-party solutions. Still, on its own, it’s a robust solution, and one of the more resilient Plasma offerings. It’s also one of the more valuable applications in the Plasma deck. I’m bundling these under a single umbrella, because this is what a typical Windows user would expect to see if they were to migrate – a single program that addresses all these in one elegant package. To wit, we’re talking KMail, KOrganizer and Kontacts. I found these programs to be quite … difficult to use. One, they don’t really look and behave the same. I’d expect more commonality, in both looks and functionality. The consistency is sorely missing. Two, they feel neglected, and don’t work very well. The very first thing that happens when you launch KMail is you get an Akonadi error, and it can take a few frustrating attempts to clear that up. Why would this ever happen or be presented to the user is a mystery to me. Then, there’s the issue of overall integration, with the desktop as well as other programs and among themselves. We will talk about this separately – in a future Slimbook & Kubuntu report, but the thing is, these three programs are independent and don’t really cooperate. I set KOrganizer up with a Gmail account, and it never once prompted me, reminded or anything of that sort. There was no correlation with how you work with your emails and the meetings you have in your organizer program. Kontacts didn’t import any emails or users based on my mail client and organizer activity. Furthermore, if you try to work with online accounts, there are still more complications and bugs. Here we have Krita and GwenView, a raster graphics editor and image viewer, respectively. Krita is very similar to GIMP, except it has much less traction outside the Linux world, i.e. Windows users. Plus, it does not feel quite as accessible. GwenView works well, it’s pretty, it has plugins, but then, it lacks in some fundamental areas, mostly around quick ‘n’ dirty actions. That said, it’s probably more mature than most other Linux image viewers, most of which are very rudimentary and limited. Krita also did not respect my system there – it set its own blue window borders, whereas my overall system theme is Breeze, with its decidedly dark gray color. This is a hugely important aspect of desktop usage. How we interact with our files and folders will constitute a big chunk of our overall satisfaction level with the system. Dolphin does not disappoint – although it’s not without quirks. But let’s start with the goodies, first. It looks the part, and it’s quite extensible. 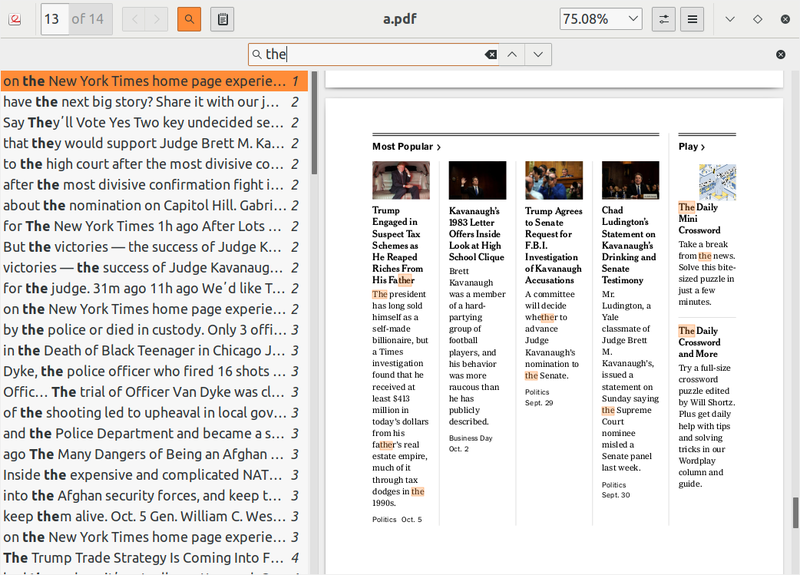 You get the expected: tabs, bookmarks, sidebar that can be changed to your liking. 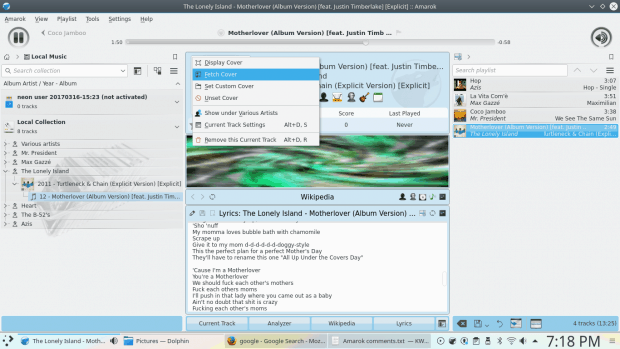 It integrates extremely well into the Plasma desktop – task manager and system area integration, copy progress bar animations, notifications, removable media management (including phones, cameras, SD cards and similar), and you can even access and interact with cloud drives like Google Drive directly from Dolphin. Overall, I think it is the most fully fledged and complete file manager in the entire Linux space. And it is one of the more mature Plasma programs out there. On the negative side, if you copy files to Samba shares (i.e. Windows machines), the timestamps will be reset to the current date & time. There is a silly implementation reason for this, and as a user, you probably shouldn’t be interested or care. Then, hard drives and partitions can often be listed in a weird order, with insufficient information about their properties. Dolphin should also manage the safe removal of external devices in a more elegant manner. If you’re an ordinary user, text editors probably don’t serve much purpose in your life. You may be using them to keep notes. For nerds or developers, text editors are the bread and butter of their work, and the more capable the editor is the better (or butter, ha ha hi hi). Plasma offers two choices – Kate and Kwrite. Kubuntu ships with Kate while KDE neon alternates between the two, settling on the latter more recently. Both have their advantages. 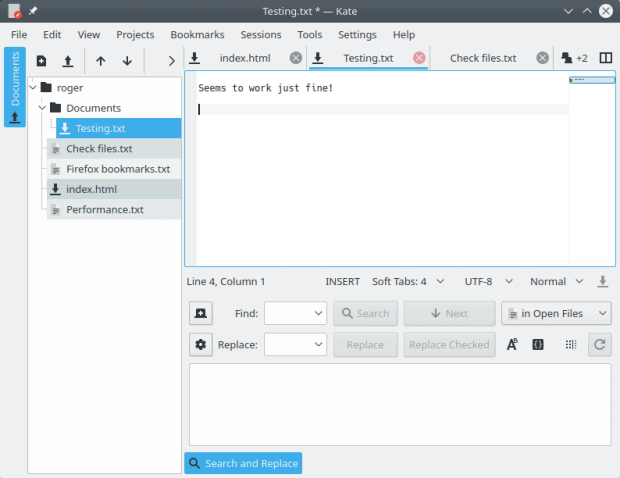 Kate does tabs and plugins better, while KWrite has bookmarks and better syntax highlighting. And they both aren’t quite as good as they should be, even though they beat the rest of the Linux competition. If you wonder what this means – I’m talking about zip files, rar files and all the other compressed bundles that you may use to store or share files. Even if you personally don’t really see the point, you will sometimes get stuff from other people (and even institutions and organizations) as zipped archives. So you need a nice and elegant program to manage those. KDE offers you Ark. The program works well. It comes with a very rich and extensible wizard, allowing you to setup compression method, use passwords, split volumes, and more. It supports plugins, including most popular formats out there, so you shouldn’t really struggle with any type of archive. The one downside is that you need to choose the ‘auto detect sub-folder’ option when extracting files unless you want them extracted in the current directory, which can cause a bit of clutter. The progress bar notification is only available through the system area in the Plasma desktop, but otherwise, the tool works well. Peachy. Now, we need to be realistic about this. To be fair, the default Windows zip manager is fairly rudimentary, and so are most other tools in other desktop environments. Instead, something like the non-default 7-Zip Manager is probably the best example in this family – handles every format and compression method, allows you to use passwords and encryption, and you can use multiple threads to speed up the process. So in this regard – comparing to other Linux desktops – Ark definitely has value and merit, and it’s one of the more useful official Plasma applications. The name of the game: Konsole. I have to say, this is my favorite console/terminal program. There are many, and they can all be tweaked and tuned to suit every mind and need. But somehow, Konsole feels that much better than the rest. 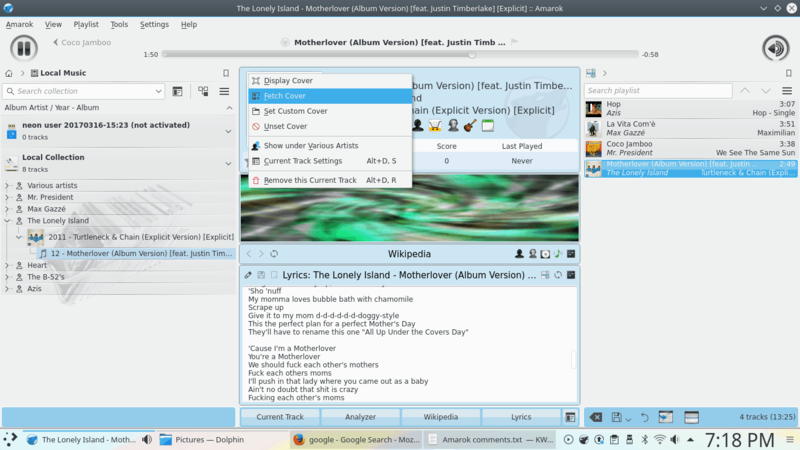 It comes with tabs, split window feature, bookmarks, color schemes, key binding, and it integrated well into the Plasma desktop, including the Dolphin file manager. It’s a good, robust and versatile terminal application. 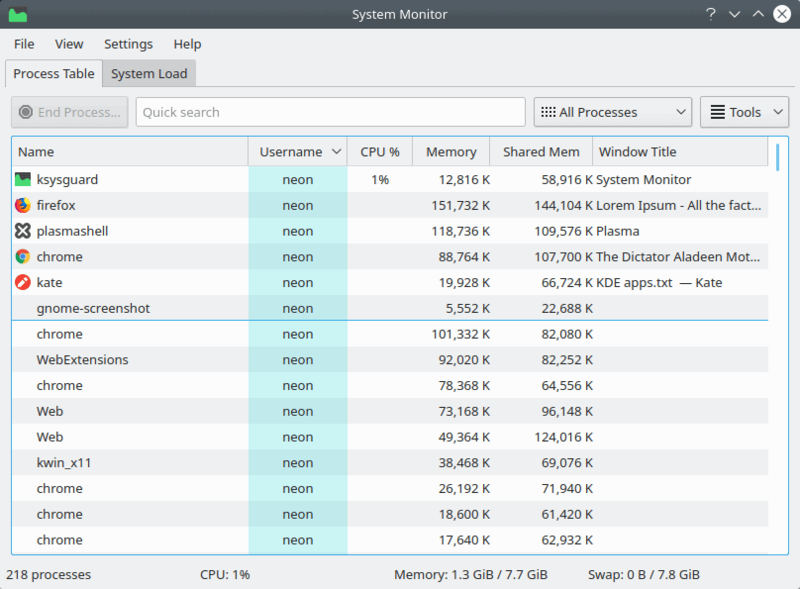 Plasma’s system monitor AKA task manager AKA KSysGuard is one of the more useful tools in its family, Linux and Windows included. It comes with a simple layout, plus lots of nice extras and goodies that make it into a valuable administration tool. It’s also actively developed, and it’s getting new features and tools integration all the time. Definitely a keeper, and one of those Plasma programs that shine. The Wild Wild West of the Linux world. There isn’t a perfect tool in the entire desktop space. At all. Each one comes with its tricks. Gnome Screenshot is simple but it lets you toggle shadows on and off. MATE screenshots also comes with the New button, so you can continue working without exiting. Spectacle has a lot of extra features, including export to external services, video recording, but then the workflow is a little clunky and inefficient, and you cannot turn background shadows off, the one feature that makes it the least useful, despite its many advantages. Ironically, it’s the older KDE tool KSnapshot that probably had it all in one nice package. Overall, Spectacle could be that program, but it needs rework. 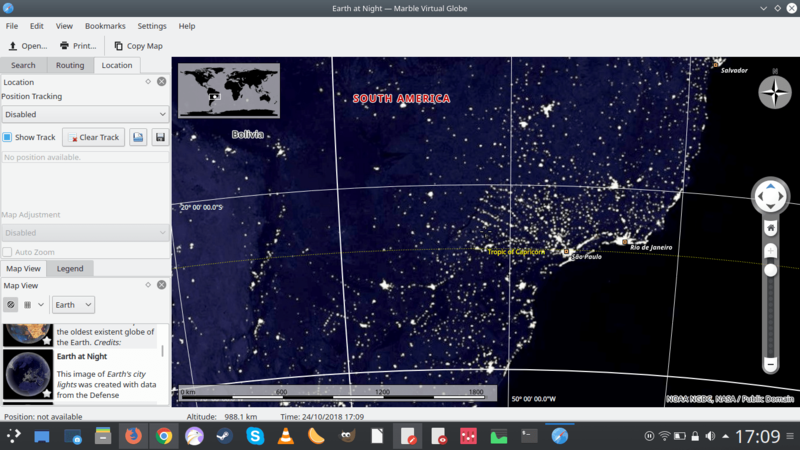 Personally, I use Gnome Screenshot, because I can’t be bothered with shadows. Another element of chaos. At the moment, across the entire Linux world, there’s not a single package manager that does what it should, fully. The old Synaptic is unfriendly and yet robust. The Ubuntu Software Center was awesome, but it’s EOL. Gnome Software lacks integration. Boutique is very, very nice, but it also needs some extras, as it works with a limited set of applications in the repos. Discover is Plasma’s answer to this question, and it’s an inadequate one. Lots of woes here: visual and functional inconsistencies, incomplete workflow, crashes, difficulties with software repo management, and a lack of integration with the desktop plus external sources. This is a big miss, because ordinary users expect a nice UI, which will let them do all their “shopping” in a simple, straightforward, coherent, consistent way. This means offline and online sync, free and paid software, third-party integration, online accounts, and more. Most of that isn’t there in Discover (or other package managers, to be fair), but that does not exonerate the Plasma desktop. This area needs a major overhaul. A typical Windows user will be amazed, but mobile users have robust stores that give them exactly the kind of functionality that Linux tried to offer in 2010-2014, and then sort of faded away with the slowdown in the desktop popularity. Plasma’s package manager, alongside browser and office, forms the big three things that need heavy, instant improvement. Less than trivial, but definitely something where Plasma shines, big time. Marble, the world atlas and virtual globe software, is a great example. There are no real rivals to KDE in this category. A superb example where Plasma brings extra value, and overall, this is a pretty nice, rich program. There’s more, of course, including some less common software. For example, I don’t have much experience with blogging tools or feed readers. Then, there’s digiKam, which is an awesome tool on its own, but is it really needed quite as much nowadays? The same can also be said of Kamoso, the Web camera tool. Any merit on its own? The one area where Plasma be lacking is the instant messaging, chat and video conferencing. I don’t think there’s a good, mature KDE program for that. 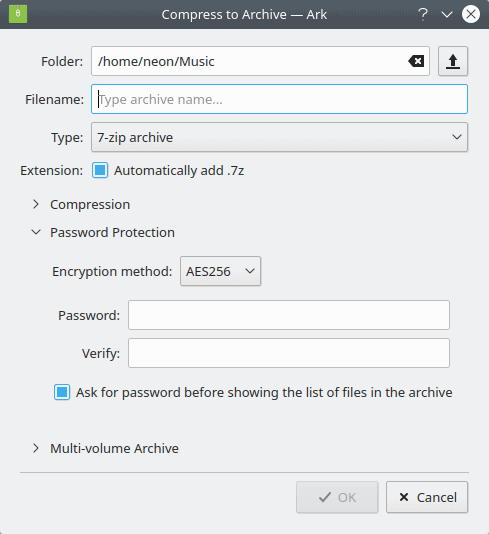 The Gnome folks have Pidgin, or you can go for a proprietary solution, but there’s nothing inherently Plasma that answers this particular need. And I think it’s a big miss, because a nice, integrated client would make a big difference. Think something that plugs seamlessly into the Facebook chat, Google chat, Skype, WhatsApp, and alike. Maybe something like Franz? Plasma also has some kickass built-in tools that are a little harder to classify. But they are definitely the best in class, across the entire desktop stack. The Plasma clipboard is ahead of everything else. KRunner is among the most capable contextual launchers, although there are some rather cool solutions out there, like the old Unity HUD and the similar implementation in MATE. Let’s not forget KDEConnect, too. It also comes with the most fully featured power management and font management among all Linux desktop environments. Then you get widgets and activities, again superlative compared to the rest. However, these are relatively niche and not something people will interpret as applications. Therefore, I’m leaving these in the ambiguous category. Looking at the Plasma software, one can discern some common themes. The programs come with lots of features and options – some of these can be overwhelming for the average user, and others are just brilliant. The ability to switch the application language – PER application – is a superbly valuable and useful tweak. That said, there’s a lot of inconsistency in the stack. Not all applications looks the same, nor behave the same, and I’m not talking about application specific stuff. I’m talking about the integration, the use of helpers and plugins, the cross-application support, the system-level notifications. Not all applications get the same level of development. Some are really actively maintained and get a lot of focus, others are neglected or even plain abandoned, and yet you can install them, and this creates a disjointed KDE experience. Finally, there are a lot of non-KDE programs that do a better job. Arguably, VLC, GIMP and LibreOffice are more capable and accessible than Dragon, Krita or Calligra, for instance. 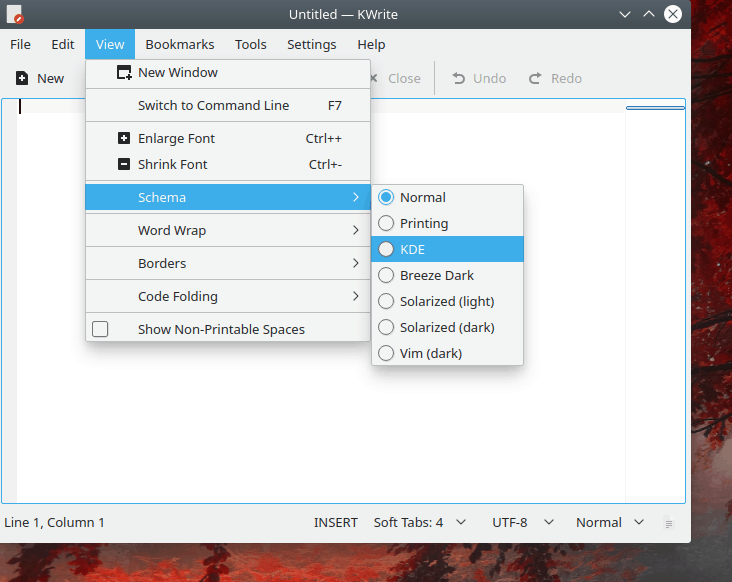 People will gravitate to what they like, but this creates even more inconsistency, because the non-KDE programs aren’t designed to blend perfectly well into this desktop, so you end up with theming or scaling issues, to name a few. 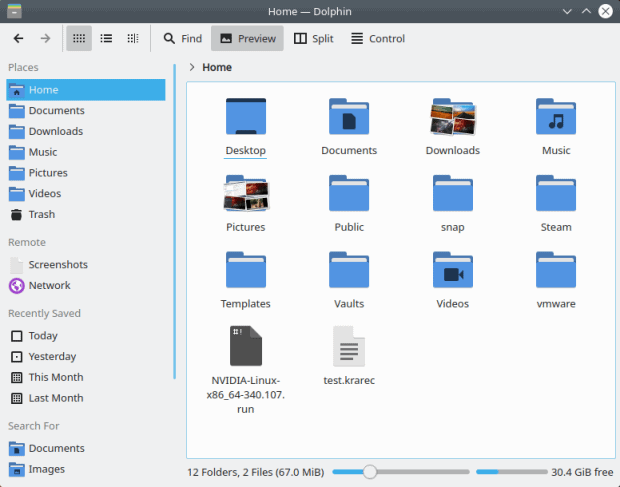 I would like to see the Plasma desktop development aligned to a strict set of programs – be they KDE or not, and then make sure these work perfectly well. This so-called top ten would be tweaked to the highest level of integration, because ultimately, it’s the second and third and seventh order of functionality that are really going to impress the users. You configured Google Drive in Dolphin? Cool, but is it available in Ark or GwenView? You set up a new contact in your email – does it show consistently in all programs capable of using contacts or sending information this way? Do all programs have the exact same visual styling, including all the little buttons and options? This ain’t easy, but it will be worth it. You may think I’m being negative. Far from it. To put things into perspective, pretty much EVERY operating system or distro stack comes with rather average default offerings. Windows has a rather meager default set, and I don’t think I use any of those programs except Windows Explorer – I always go for third-party solutions. Across Linux, Plasma comes with a more complete, more mature set than either Gnome or Xfce, for that matter. But being better than the competition does not mean you’re good. Merely better than something else. And I think this needs to be the focus of where Plasma goes next. Creating a superb app space on top of a solid desktop environment. Everything needs to fit like clockwork. Integration on every level. Pure consistency. It would be nice if there was a hard decision on the golden set, and moving forward, those applications should receive all the attention, while some less popular or used programs need to be put away, cruel as it may seem. And in some cases, the answer may be non-KDE tools! That’s fine, as long as they are perfectly integrated into the desktop. Sure, that removes the uniqueness and independence of the desktop environment, but what’s the purpose of default tools if they are inferior and/or no one uses them? In the long run, it only makes the desktop environment look bad. There’s no quick answer here, but it would be nice to see a desktop that comes with a smaller set of programs, but each one superbly developed, designed and inter-connected with the rest of the system. It’s not an easy task, nor can you compel projects and developers outside your sphere to cooperate, but if there was a broader agreement across the Linux desktop world, we might actually end up with a much higher quality of software, and things that work beautifully no matter what you do. So when it comes to KDE apps, there are some real gems there. But while the underlying desktop shell is cushty, the app space is still young and green and brittle. To be continued. The Wild Wild West of the Linux world. There isn’t a perfect tool in the entire desktop space. Still wonder about your thoughts on Flameshot, Deepin-Screenshot or shutter . You’re being unusually gentle on this , not the Dedoimedo ( Dedoimedio? ) i know . Gentle? More along the lines of not really caring – as I’ve not used the default since about XP. Gave them a glance, shrugged, moved on. Considering your particular style and from my external point of view i can assure you it feels like a very gentle approach. Sure, i can understand that from your personal perspective Win-defaults is something you probably gave up time ago and don’t even think about it… but from a reader’s perspective feels different as “we” are more used to your linux-oriented articles that often put much more pressure on several aspects of linux DEs … so if we take in consideration how big Microsoft is, that Win10 is a paid product… and even with taht they have the nerve to throw such defaults on their users faces… in 2018 … well, they certainly deserve some bashing for it . I don’t like bashing for the sake of it. When it’s deserved yes, but ranting just to sound “controversial” misses the point. It’s also not about Windows 10 – I’ve not really used most Windows default apps for the past 15 years. They aren’t necessarily bad – simply there are much better alternatives. The same is true for a whole bunch of Linux apps that normally constitute the k/g/x/m core applications. But if you wonder how the scale of emotional response to software goes – apathy is far worse than anger. It means you don’t care. Needless to say, you can fix things, spend some hours making it usable and it’s nice they improve something here & there… but all in all, each Win10 install makes me realize how spoiled we’re on the Linux world thanks to a few distros . All in all KDE is the best desktop on the Earth. Krita and GIMP are not comparable in many ways. The former is aimed at the digital painting crowd, the latter is an image/photo manipulator. You can do image manipulation in Krita, much as you can create digital art in GIMP, but it’s not the forte of either app. 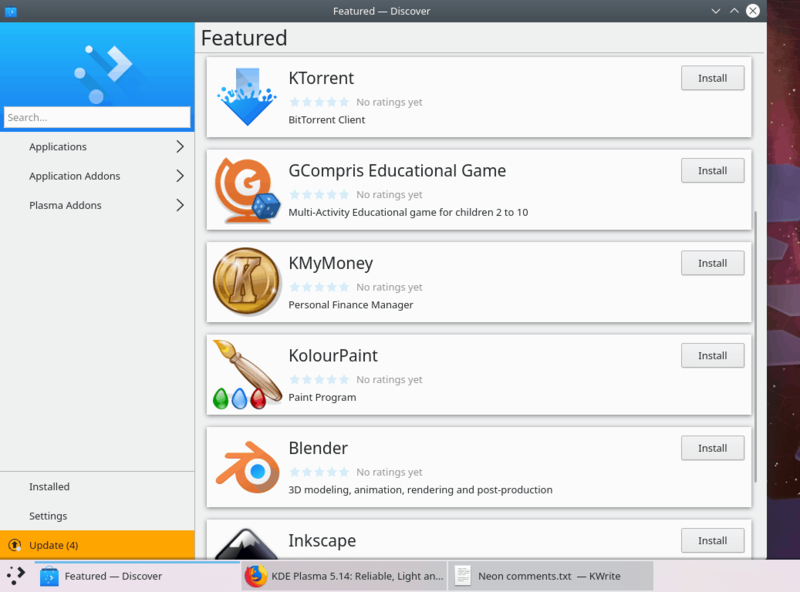 Of all kde apps, I only use Konsole, Dolphin and KDEconnect. KDE should focus on desktop itself. They will never be able to match dedicated products like Firefox, VLC, libreoffice, telegram, photoshop..
O__o … well, i’m fairly sure they aren’t trying to match Photoshop … in fact, comparing GIMP with Krita is simply wrong. It’s one thing that Krita has editing abilities to some extent… but it’s been made abundantly clear this is a digital painting tool . Why do you bring gimp and krita here? I never mentioned any of them. digiKam not wanted these days? Time to say lol …. it is the single most important reason I can manage my photos, edit, create HDR, panoramas, time lapses, Geo tag photos, etc etc. This article seems like open KDE bashing to me, honestly! Maybe the question mark was a giveaway? Also, how can you say I’m against KDE when I recently bought a nice and pricey laptop and installed Kubuntu on it, and I’m using it in my production environment. Where’s the logic in that? Did you actually read all of it? For what it’s worth … didn’t feel like bashing to me 😐 , he just pointed bright things and some dark corners ( and there’s some ) of KDE. If anything, the “other software” bit feels quite confusing / disorganized ( and probably the reason why you feel offended or decided to take it personal ) with plenty stuff mixed together, some wrong comparisons ( Krita : yes, you can do GIMP-ie things… but it’s designed as a digital painting tool for people that is used to work with such tools, not to replace GIMP in any way ) or the way he phrased that line about Digikam ( which in all fairness… feels “weird” when you read it… it’s a well known tool and obviously you won’t need it if you don’t even own a camera nor are interested in photography… but the same could be said about people not interested on learning anything about a terminal ) . My point was if you’re writing about KDE (and its apps) research them! the author has pointed out other photo tools (all GTK ones) and then called digikam as something non grata. Either don’t write about something you don’t use (or prefer) or research it and present a balanced view. Funny enough, this morning I pondered what would happen if KDE started pouring some love into the PIM suite. Huge missed opportunity at this point. Just with a refreshed, clean and consistent mail/organiser solution they’d truly be unstoppable. Plamsa baffles me with its brilliance in some aspects and then suddenly a notification in Times New Roman font 26, drop shadow & word art pops up out of nowhere. While it’s not official yet, think they plan to put some considerable work into it real soon. Just recently they started re-working the website and taking feedback for it, a small step… maybe a clue for what’s coming . Nope; only absolutely–to the chagrin of the obvious fanboises–objective, fair, extremely informative, and “…calls ’em like I sees ’em…”–the antithesis (or antitheses, to soothe all you grammar Nazis who know the Latin difference) of that characteristic commonly known as ‘bashing’. I want to like and use Okular, but unfortunately it’s woefully inadequate for _my personal needs_. I pretty much live inside a PDF viewer, so I have pretty strict requirements. – Okular doesn’t have a search term summary pane. The only FOSS program I’ve found with this feature is Evince. – No booklet / brochure printing options. 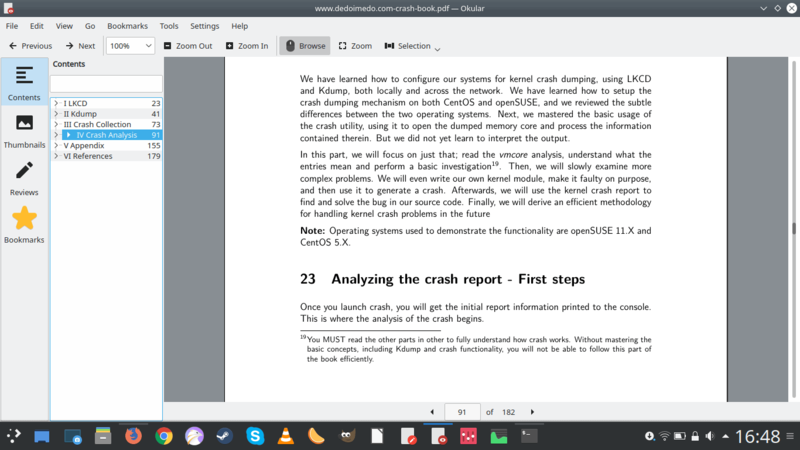 ( https://bugs.kde.org/show_bug.cgi?id=179468 ) This functionality in Linux actually requires a separate booklet tool to reorder PDF file, whereas many Windows PDF readers simply have a booklet printing option integrated into their print dialogs. – Most of the PDF files that I receive from my work have editable text form fields), but the font size of entered text is totally wrong. This is a Poppler bug, and all the PDF readers for Linux use it. Unfortunately I can’t submit example files for a bug report for this because the documents are confidential. So, for my particular needs, Okular is inadequate. In one way or another, all of the FOSS readers are also inadequate. So I use Evince for most things, until I run into one of its limitations, at which point I recur to a combination of Foxit PDF Reader for Linux (slow, clunky, and proprietary, but works well for filling PDF form fields), Master PDF Editor 5 for Linux (lots of features, but infuriatingly doesn’t allow me to type letters with accents á é í ó ú in form fields), or PDF-XChange Editor under Wine (buggy and clunky, but huge amounts of useful features). In place of Clementine or Amarok, I use Cantata for a couple of years. It’s very well integrated in Plasma, light, fast, reliable. A must not well known enough. 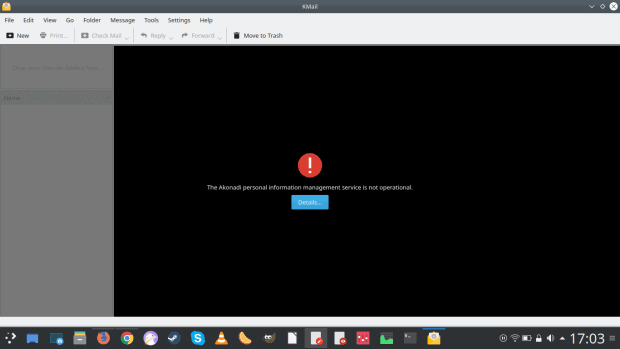 The article in my opinion starts from an underlying error, KDE like Gnome has some predefined applications, however applications like LibreOffice or Chrome or Firefox are not Gnome applications, but they are multiplatform applications. So using LibreOffice on KDE is to be considered normal. Also, there are some errors, the Dragon player is no longer the default application of KDE, it was once, now it’s VLC. 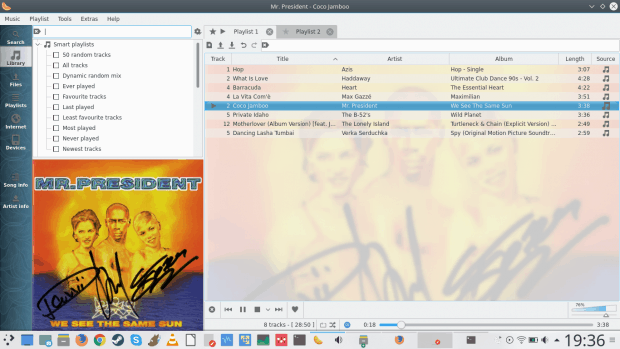 Amarok is no longer the official KDE audio player. There are a lot of Qt audio players that can be used. 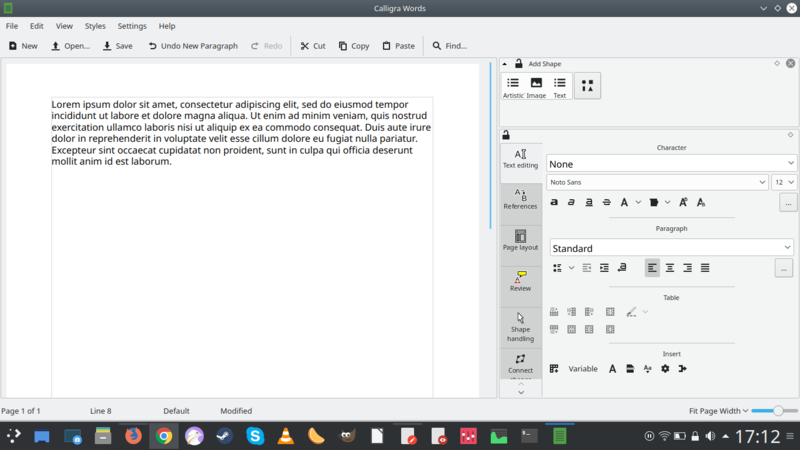 Calligra has had a difficult time, in these days a big donation has been made to resume its development, but at the moment using LibreOffice is the best choice and I repeat it is not a Gnome application. I use the office suite every day and I consider it one of the best, as it is all well integrated, of course, I may not like it, but this is another matter. 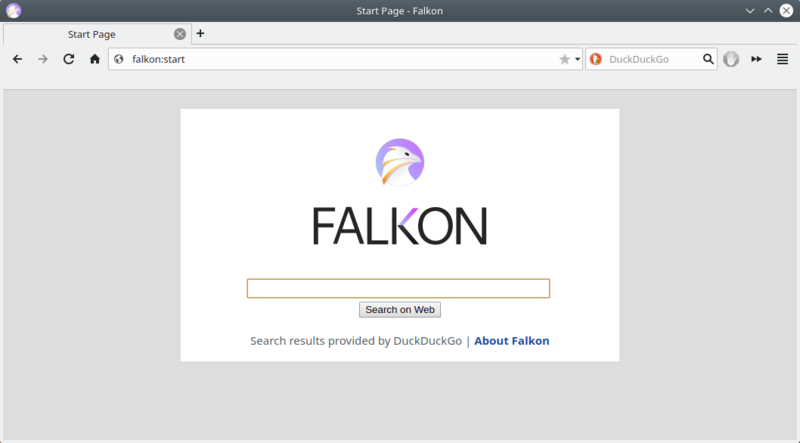 Falkon is the official browser of KDE, but since the web browser is a particularly important tool, it will never replace Firefox or Chrome, which I repeat are not Gnome applications. 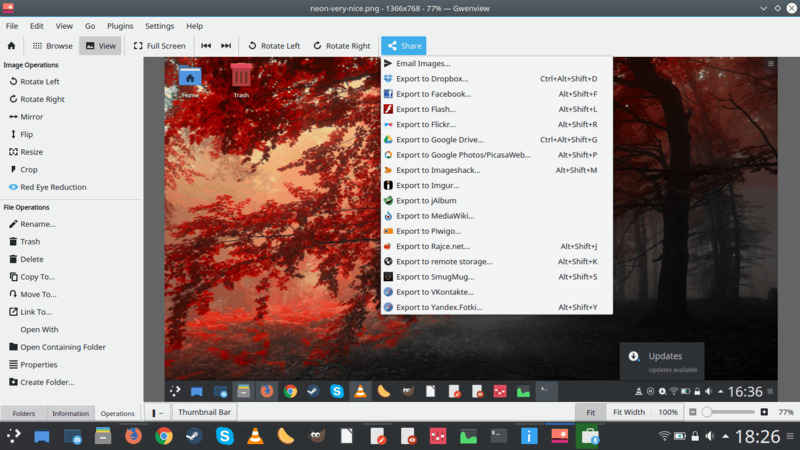 But there is also a background error in this article, the distributions that send KDE or GNOME is not at all true that do not differ, one thing is to use KDE on openSUSE, another and use KDE in Kubuntu and yet another is do it using KDE Neon. However, it is necessary to look beyond the graphic interface and the pre-installed programs. I’m adding another voice for not comparing Krita and GIMP. Krita is mostly designed to be a draw-and-paint package. You shouldn’t use it to edit pictures the way GIMP and Photoshop do, unless you really don’t want to use either of those. I always appreciated KDE’s ability to save application and window positions. Right-click title bar, More Actions->Special Window Settings or Special Application Settings. Very cool. There is a level of detail in KDE that I haven’t found in any other desktop. I had used Mac OS and Windows for all my computing life, as a user since I am not a software Engineer or anything near. Years ago I tried Linux, the first gnome also, it was so difficult to install and then even to configure networking, and lacked many applications. I did not have the time and know-how to deal with system configuration and all that and that all I needed was to work with office applications, mail, calendar, browse the internet for news and things and the occasional multimedia. I got myself a macbook pro, 15″, some years ago, it cost me quite a bit and today it no longer supports the new Sierra and Mojave thing even though it features an Intel i7 with 16GB, Nvidia and Intel graphics and a SSD drive, it is really annoying to see how two thousand dollars spent four or five years ago are now obsolete according to Apple, I mean, how is that possible? so I installed Debian 9 and I started over the learning curve and I have to say, I do my work with LibreOffice, Caligra, Evolution mail, I use Firefox and Chromium, I seamlessly work in this system as though it were Windows or Mac OS, and I am also anxiously waiting for new distributions, to see what’s new. I have to say, to this day I have not paid a dime for this and I should start making donations very soon if I want to keep this going forward. The thing is, most of us users do not really expect the greatest software features in packages or applications, most of us want to browse the web without problems, watch youtube or netflix the same, write letters or books or reports or make spreadsheets the same, nothing fancy we expect, fanciness it’s not for the masses, useful software, standardize applications are and Linux distributions have it all.